MARGARET (SIMONS) BOOMHOWER ROSWELL, GA. - Margaret (Simons) Boomhower died Wednesday afternoon, Jan. 25, 2017, at the Brookdale Historic Roswell, Ga., facility. Born Oct. 12, 1927, in Youngstown, she was the daughter of the late Joseph and Emily Simons She was a graduate of Scienceville High School, a housewife and mother. Margaret was a very active member in the First Free Methodist Church Canfield. She served as Sunday school superintendent and teacher. She also taught the children’s Christian Youth Crusaders and Junior Missionary Society and was a member of the choir and Women’s Missionary Society. She was a role model for her beloved family, students and friends. 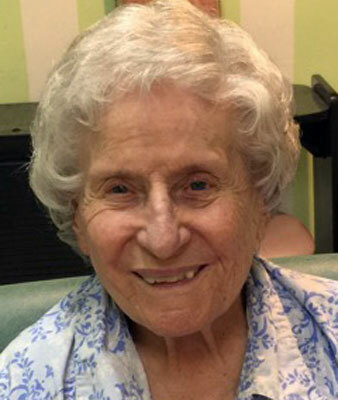 Margaret was a woman of great faith and a witness for her God to all the caregivers, residents and their family members at each facility where she resided in Georgia and South Carolina. She always had a big smile and a kiss on the hand for all she came in contact with. Margaret leaves three daughters, Barbara (Supko) Ambrose of Austintown, Brenda (Mark) Ketzler of Bluffton, S.C., and JoEllen (Doug) Langmack of Marietta, Ga.; six grandchildren, Joseph (Kim) Supko of Blue Bell, Pa., Adam (Karen) Ketzler of Westerville, Hollie (Philip) Crawford of Pickerington, Nathan (Alison) Langmack of Evans, Ga., and Jenna and John Langmack of Marietta; and eight great-grandchildren, Kyle, Alex, Kayla, Lyla, Lennon, William, Laura, and Cooper. She was preceded in death by her husband of 58 years, Robert W. Boomhower, whom she married on Oct. 5, 1946; five brothers, Joe, James, Dave, Howard, and William; and one sister, Dorothy Martin. A celebration of her life will be held at a later date in Austintown for family and close friends. Contributions in her memory may be made to Tidewater Hospice, 10 Buckingham Plantation Drive, Suite A, Bluffton, SC 29910.